Hi Everyone! Here’s a strong dose of chocolate for you today. I haven’t had a cake recipe on the blog in awhile and this is the perfect time of year to have one. For our family, there are plenty of holidays and birthdays in the Spring and Summer. 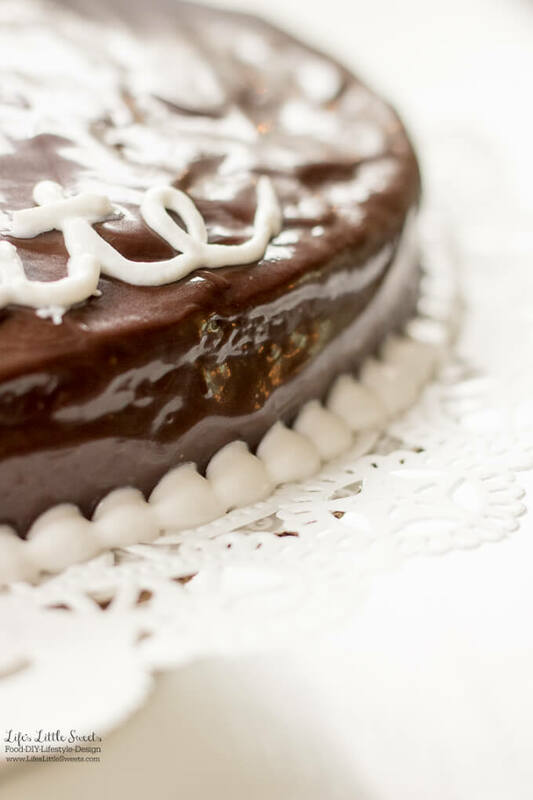 This Single-Layer Chocolate Ganache Cake Recipe is easy to make with standard pantry ingredients. It makes 12 slices so it can serve a small party. 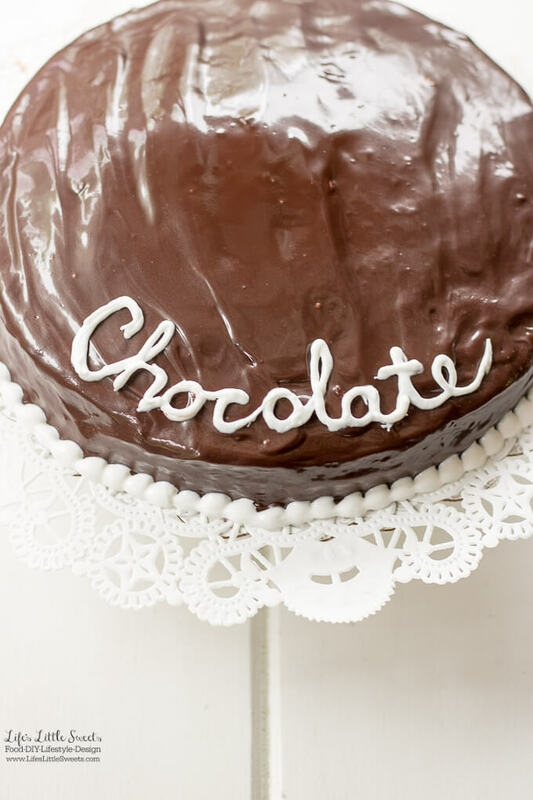 This recipe is inspired by my first recipe blog post on the blog (ever) Gluten-Free Mocha Cake. One of these days, I want to update the photos on that post! 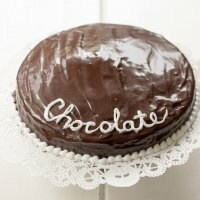 I will be sharing a Mocha version of this Single-Layer Chocolate Ganache Cake Recipe which is non-gluten free very soon. 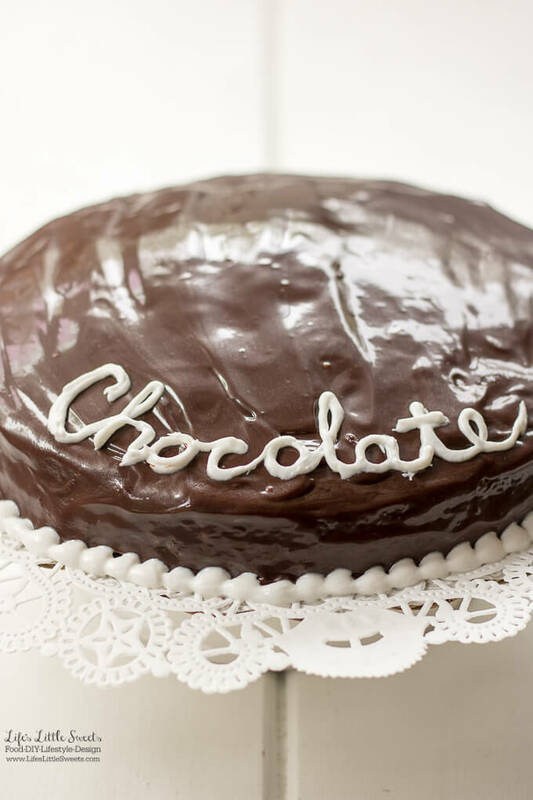 Who can resist a slice of this Single-Layer Chocolate Ganache Cake Recipe? 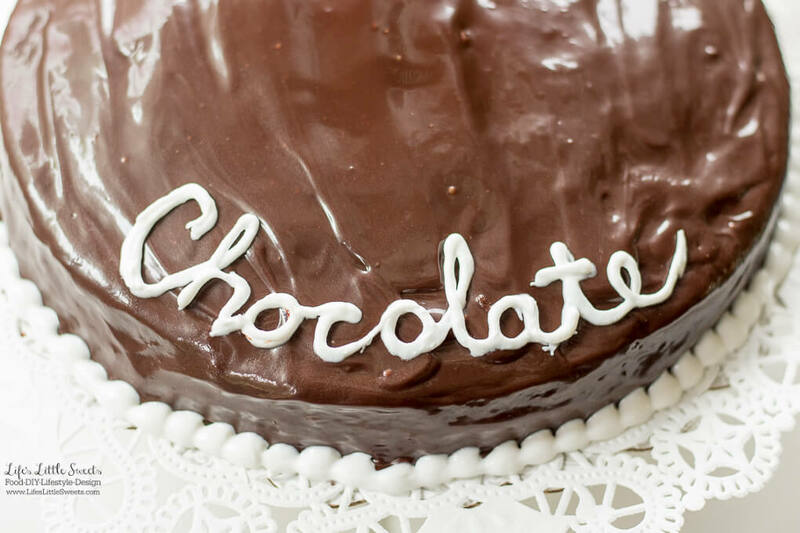 Sometimes you just need a dose of chocolate! I simply wrote “Chocolate” on the side of it because I also make a mocha version of it on the same day and they looked exactly the same so I had to come up with a way to tell them apart. I also added a little white beading along the base that adds some flair but also practically covers up any rough edges. 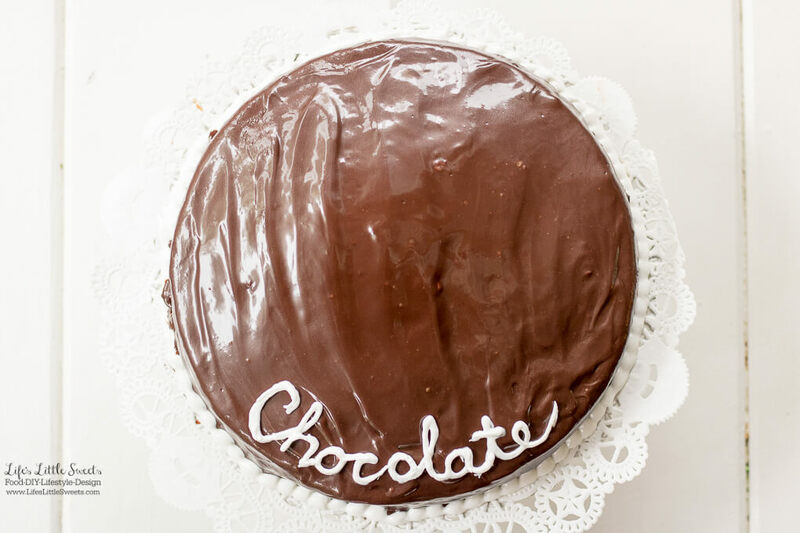 I suggest using an offset spatula to help spread the ganache. I love making cakes and would love to have more on the blog, one of these days I will take one of those cake decorating courses. 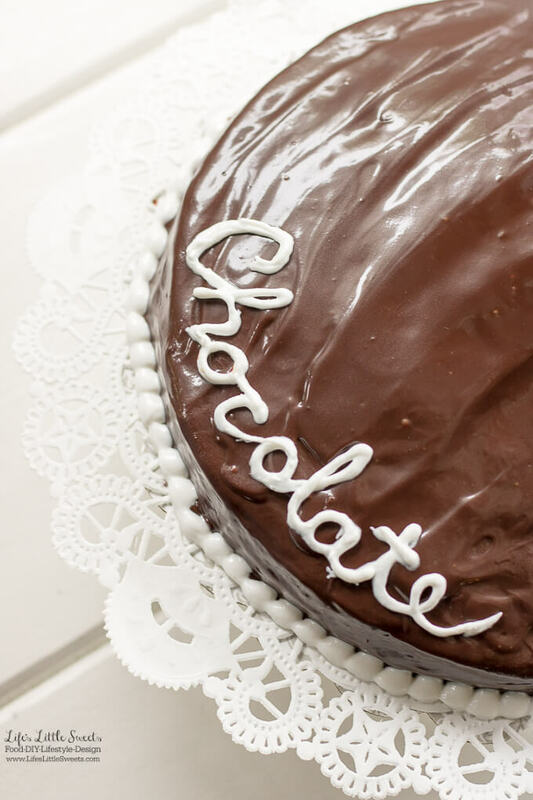 I hope you enjoy this Single-Layer Chocolate Ganache Cake Recipe as much as my family does! Add the buttermilk, oil and vanilla, beat until just combined and add the large egg, then beat more until combined. You don't want to over beat the batter, so it will not be tough. Spread batter into the prepared pan. Bake 30 to 35 minutes or until a toothpick comes out clean when inserted into the middle. 30 minutes always works best for me but baking time will depend on one's individual oven. 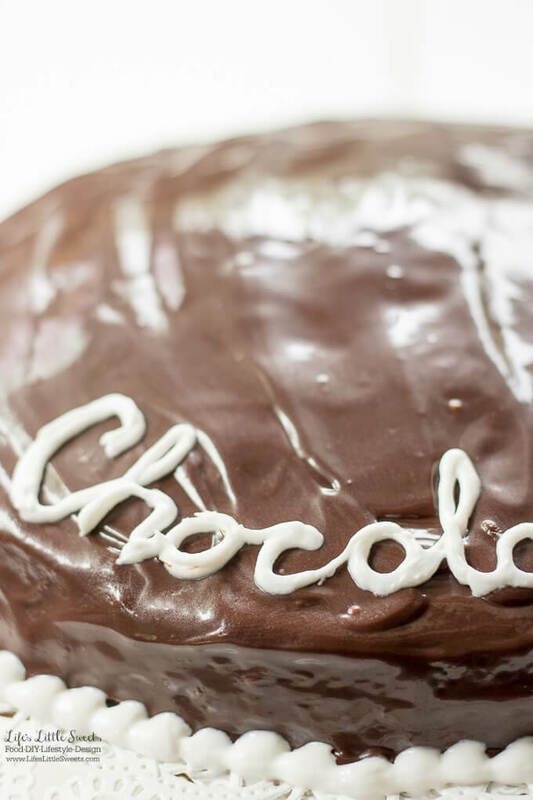 *While the cake is baking, closer to when it's done, you can work on the chocolate ganache frosting (see instruction below), if you want you can also wait until the cake is completely cooled. 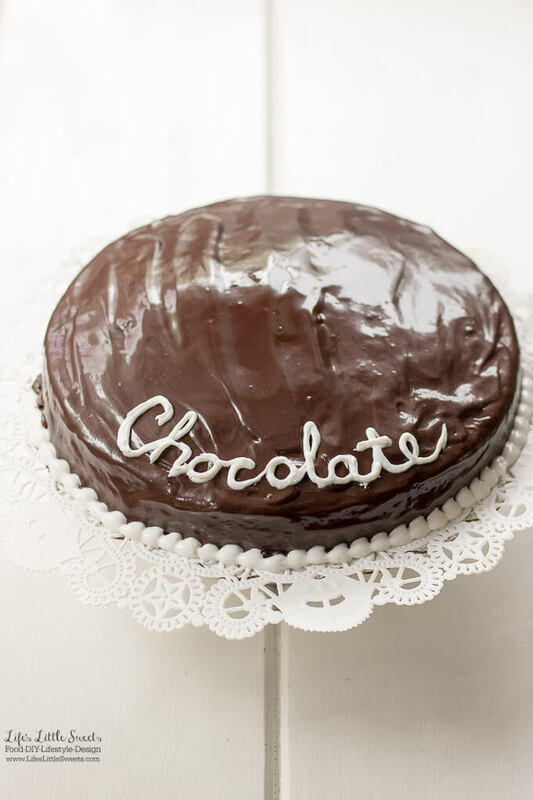 When the cake is done baking, allow to cool in the cake pan on a trivet or wire rack for 10 minutes, then remove from cake pan (you can use a plate to flip it over from the pan being careful not to drop the cake) and let cool completely on wire rack before frosting with chocolate ganache. 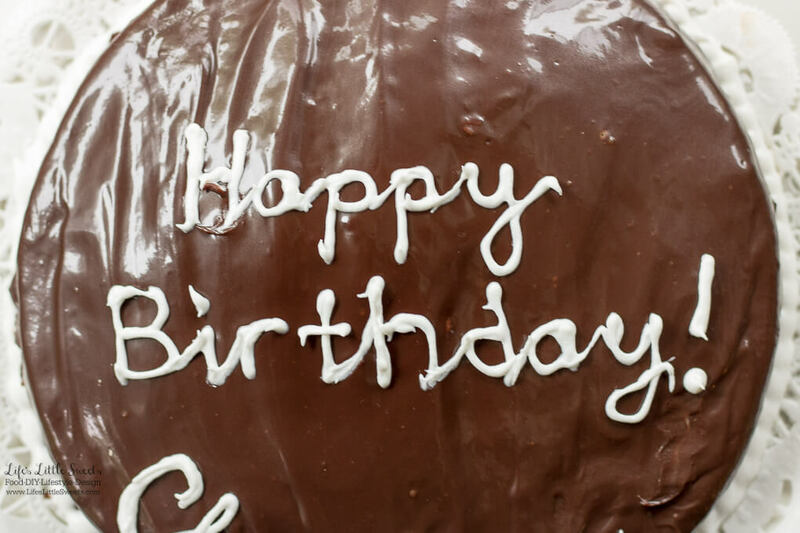 When cake is completely cool, frost with chocolate ganache. 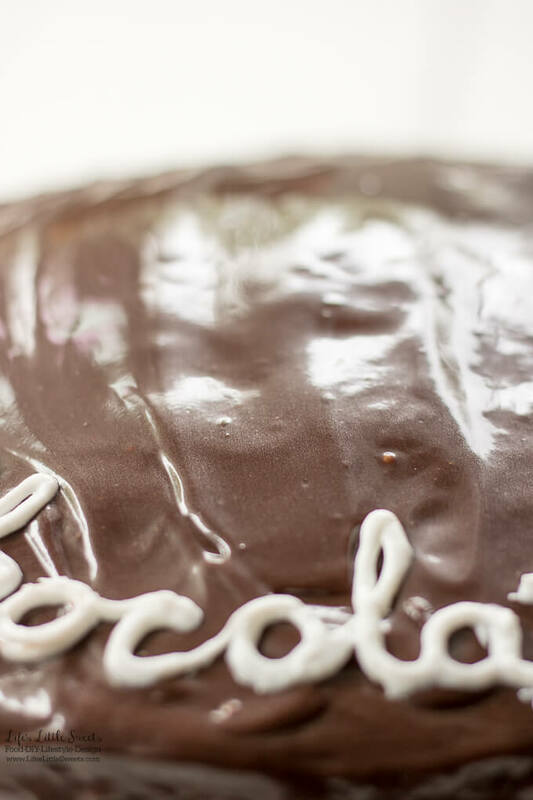 Use an offset spatula to spread the ganache. 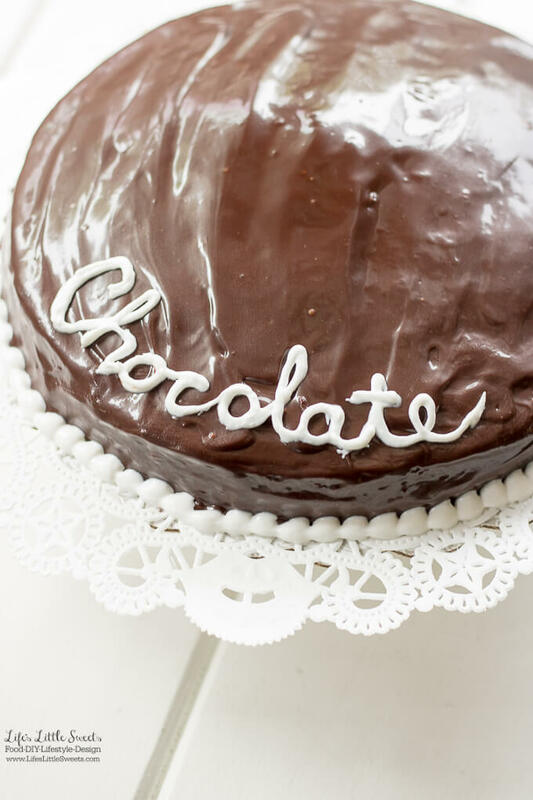 You can cool the cake in the refrigerator to allow the ganache to harden up before using the white decorating frosting for lettering. Heat heavy whipping cream in a small or medium saucepan until it is almost boiling. Remove from heat. Pour 6 ounces of semi sweet chocolate morsels into the hot cream making sure that the chocolate morsels are covered by the liquid. Cover and let sit for 5 minutes. 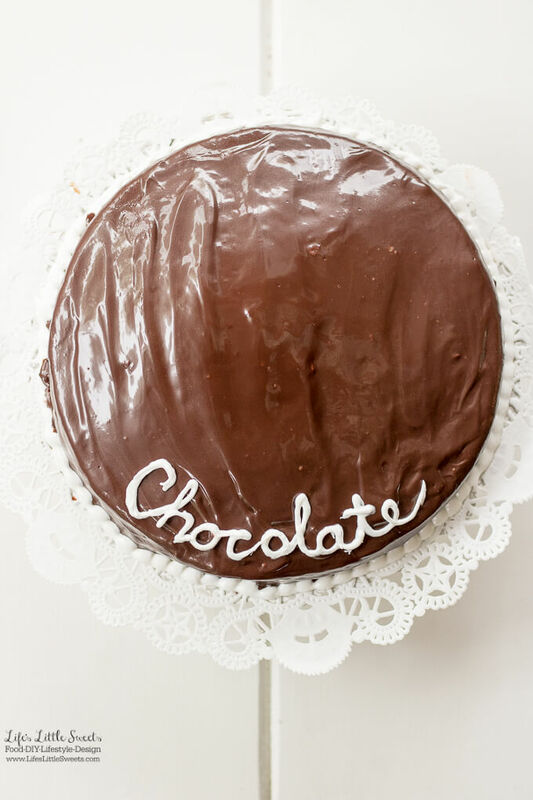 I suggest refrigerating this cake and not leaving it out because it has cream in the ganache.